Shelley Jones Mook , 24, a school teacher is missing. 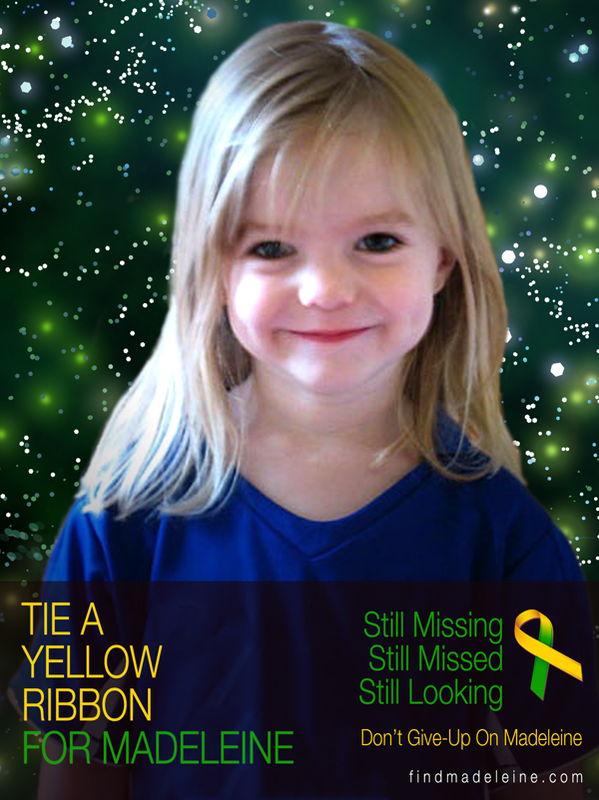 On Monday, February 28, 2011 she dropped her young daughter off at her ex-husband's home in Shelbyville, TN. She has not been seen since. On Wednesday, March 2, 2011, her co-workers became concerned when she didn't show up and hadn't scheduled a substitute teacher. Shortly after she went missing her vehicle was found completely burned with no sign of Shelley. She teaches eighth grade and had just moved to Murfreesboro the week before and took a few days off to get settled in her new home. I have looked at tarot in respect of Shelley Jones Mook who disappeared in February this year. Tarot is not 100 per cent accurate and some messages can be misinterpreted, however, Tarot should give us a glimpse of the situation past present and future and hopefully some of the information might be of help. Please go to other sources for factual information. This first card drawn for Shelley on the date she disappeared is a six and as a pentacle the years are here, so six years has some kind of significance for something. The pentacles card leads up to the school and study cards in both the 8 and the page. She was a school teacher so this run of cards might reflect that. The six seems to suggest she was sorting out her material possessions and balancing up her life in general and also it seems she had to 'work out 'her money also, possibly paying debts or even paying out but making sure the money would go round. It might be that money came in and went out quite quickly on occasion. Not sure why tarot is mentioning this yet. The 7 tells me that there was planning and working towards the future, perhaps saving up her cash. It does rather seem that finances are in this card, but also getting her strength together. I dont know if she was actually physically lifting and moving things and someone offered to help her?? or made an offer to help her with her move? Im not sure if she had to divide finance between two others or two other sources and had to take it all into account? To me by reaching the 9 of pentacles would be a sense of accomplishment and having done everything herself but cant help feeling that there is someone here lurking in these cards that might have offered some help or that she might have tipped to help her. The school card is quite strong . Someone between 20 and perhaps 35 might be on the scene here , dark hair and dark eyes, they may have just 'arrived' and possibly even by foot. Still, I am feeling there is something very strong about finance in this first card as it could even represent an insurance payout or some kind of money gift or charitable offering. The seven can actually show her considering her finances and wondering whether to cash things in or whether to leave it to grow a bit more. I still dont know how this fits in from the brief details that I have at the moment. Was she expecting a cash payout from something? None of these cards show her in a tight spot, they are all working their way to prosperity so its not what I would thought to be a disastrous card at first sight - its all more towards the benefit of Shelley rather then against her. Even the people in this run are all seemingly friendly and helpful. I can see an 'accountant' or someone that deals with money in the cards also, so yes, Finance seems to be the strongest pull yet not sure how that would make sense right now without further details to give me some ideas. The four of pentacles could indicate that she went to a Bank or she gathered together her possessions and /or/both her money. As the 10 of pentacles shows also in this run, it seems to be all in respect of the 'family home'. Whether that is the home Shelley was moving to or whether its from where she came I dont know for sure. On a positive note, I do have the direction NORTH on this card. She might have shared out one or two of her possessions hence the charity signal on the six of Pentacles. Perhaps she found items that she did,nt want anymore? There does seem to be some indication of perhaps getting rid of some things in order to get some payout for them. I also see someone who might be 'new' to a job that could be to do with the school but then Im seeing the dark haired dark eyes person and makes me wonder if they have showed up here somewhere towards her new property? I seem to see some kind of trickery in this card regarding her disappearance. I feel like she has 'lost' some things because of her open candidness. A B and a J might be initials that could be people or places but if Shellee wanted something to be a secret, I feel as though the secret came out. Also the Empress shows unnurturing so I am feeling as though she was put in an uncomfortable position about something. The Empress is a THREE so if we tried to ask where she might be this Three is all we have as a number. No particular direction but Springtime on the card. I would venture for South but Im seeing a Boss/ or father, either may apply. Father might be a non biological father, or could be a father who is absent. Im feeling that there is a harsh element here. Someone who feels disregarded in some way perhaps who was not informed about something and considers a lack of respect has been shown. But what I see is a disregard for authority here. I really am not sure who this applies to at all. Its like someone takes the law into their own hands and in a very tempermental way? To find Shellee though we have to go back to the Magician card. This card can show ledges/cliffs/ and possible water, might be in a name of a street or could be actual. However, this card links through to the Emperor and Shellee might have been accused of not caring? The Magician seems to show some kind of indecision and there seems to be something a bit deceptive about Shellee disappearance. I see a thief ,someone lying outright here. Did she actually reach her new home? that is the question as there are some questioning elements in the magician reversed. I cannot get any place name as to where this lady is, but I think there is a deceptive money angle here. I would hope Shellee is alright but the Chariot would be reversed which shows problems with a vehicle and the strength reversed can show problems to the neck or something unpleasant there. It could just be someone who cant speak for whatever reason that lends itself. The reversed arcana is not always a good thing. Two apartment blocks might show here. Numbers 1 and 9 might be of some significance. What I see is a period of 9 months or Under for when Shellee might be found . Anytime up to 9 months. I seem to see a very worried and regretable situation here, where by someone is really cross that they got dragged down by someone else. This is a bedroom scene. Would she be found in a Bedroom or would a bedroom scene or something from there hold clues? The 10 of swords shows books/literature, possible notes or documentation that could provide answers - but it also shows neurological problems, maybe its just mental worry to the head,or even an injury at the extreme end of it. Riverbanks also seem to show in this set of cards again, could be a name of a place rather than actual but it is here all the same . I think there was something hidden about this 'fresh start' though I cant be too clear about it. Someone was not particularly friendly towards Shellee but Im seeing someone dark eyed and dark hair between 20 and 35. I think this person has something to do with her vanishing. According to tarot EAST is the direction to find her either in the name of a road or place or as it stands and within a 9 which I have interpreted as under 9 months. This is a brief overview of what might have occurred with Shellee. It seems rather complicated if I was honest as I feel several things were going on at once. Tarot is not 100 per cent accurate and Im sure I might have some of the details incorrectly but we shall have to see what transpires. I will look again very shortly. AFTERTHOUGHTSReviewing and looking over the cards that I have the spread that concerns me most is the SWORDS. There is a 'problem' that I have regarding the Page of SWORDS and an airport. I see from recent reports that the mother of Shelley was not allowed to see her daughter and the 'grandmother' can sometimes appear in the 9 of swords. The 9 of swords can often show difficulties and problems that can actually be caused by the mother or a mother figure that can make a situation worse so I am lingering on that point. I feel that there is something around the mother that may have triggered something regarding Shelley and her disappearance. I also see distant things here where it seems to me that the mother may come up in the future as a main figure around Shelley or indeed some connection to grandmother. I also felt at some point some connection to another possible pregnancy, but normally this would be confirmed on a different card and because of that Im wondering if its more about the 'grandaughter' element. I also seem to see some kind of 'clandestine' affair or some kind of entanglement with three people here and a great deal of contrarities within Shelleys family and it bothers me that I cant put my finger on this. I had these thoughts on my mind when I was writing tarot but I felt that they might lead the case down the wrong track yet I still felt that they were there. I am seeing so many things and I know that they can often come out at once and it is important not to take a 2 x 2 makes 4 approach. It seems to me as always that tarot gives us information and 'dumps' it hoping that it makes sense to someone. I feel there is someone who is quite calculating in these cards and not adverse to planning things in advance as I do see some kind of plan that might have surfaced some time before Shelley vanished. I feel that Shelley is hidden and concealed and that she did,nt just go off on her own. I feel all homes connected to her should be checked and particularly by water. I also feel that the property problems seem quite strong here with the pentacles cards but I know that she was looking for security and expected to find it in a property. There is no harm in checking all properties inside and out and around and to anyone, family included around Shelley. I will update again if I see anything further, but I do see some kind of payout here also and not sure how that comes into play as yet. The TBI's main suspect in the case of missing teacher Shelley Mook, her ex-husband Tyler Mook, is now fighting for custody of their child. « 3RD APRIL 2012 at 12:25am »I was asked in recent times if I had an update for Shelley Jones Mook. I thought I would look at the astrological aspects of the cards to see if they might throw a little further light on location. Here below are locations that would be considered associated with Shelley. Each of the directions are mentioned in Tarot but we are also given West. Now any of these places may have some significance to do with her at any given time. I hope somehow they will help. Tradesmen's shops, markets, fairs, schools, common halls, bowling-alleys, ordinaries, tennis courts Important day Wednesday. Hills and mountains, high places, barns and storehouses for corn and grain. Libraries/ studies, the walls of houses, the hall, playrooms, chests, drawers, places where money is stored or kept, ie, safes, banks, purses. Places off the ground, high up or near light, such as windows or rooms that are particularly light and bright. Most significant directions are showing SOUTH EAST TO WEST Bear in mind these could be names of Roads or places if not directions. South East and North West are thought to be detrimental if connected to vehicles/travel and water. i feel she buried in the backyard near or under a swimming pool or where a swimming pooll is to be. Would you please do a new reading on Shelley's case? It has been rumored that a teacher (co-worker) claimed the last day Shelley taught at school before she disappeared, a man drove up to her and asked her if she was Tyler Mook’s ex-wife. The news media reported she was moving to another town North of Shelbyville that day. Also heard her mom said she was taking her ex some of his old belongings after school that day. The news said she was supposed to have an appointment to meet a maintenance man at her new home and did not ever show up. The father figure mentioned could be her ex and the father of her daughter who is dark-complected with brown hair and brown eyes. According to the news media her ex has been arrested for stealing. Her car was found burned out near a creek. Could Shelley's being a reading teacher be why you are seeing books/literature? The news also reported her ex moving as soon as she disappeared with his parents in a town surrounded by lakes, creeks, ledges, and cliffs that would be East. Her ex has a brother with the initial A. Also, strangely enough if you look up the addresses, the parents address begins with a 1 and the brother with the initial A. address begins with a 9. Also, coincidentally the brother lives in the same county her car was found. I am sorry I did not reply to this its very easy to overlook comments sometimes I do apologise. This information is very interesting and I will consider all of it. Are the news about remains found in parsons tn true? If so have they been identified?!? Good question, I think the news in Parsons was being linked to Holly Bobos case. I have heard the rumours also and they stretched to there being a body in a lake. However, it is true to say that there has been no media news coverage. This information was printed on a website and has been debated over in the last while as to whether it is a hoax or not. Unfortunately right now there is no news confirming whether this is true or not. I think right now nobody really knows. I will update Shelleys case soon. Please do. It almost seems like her ex planned the whole thing since they have not been able to find her. Strangely, he was so conveniently moving as soon as all this happened. He would not cooperate with the police and by the time they got a search warrant to search his house where she was last seen entering, all there was to search was a clean empty house. I think it is strange how the ex's family are so unsympathetic and uncooperative as well. It's like they are either trying to protect and cover up what they know their son did, or they are a part of it too. I am glad the little girl is not with these people or her dad because I am afraid they will harm her too. I have supplied a location possibilities and associated places. Hope this helps. Can you please do another soon... we need closure so bad and would like to know if u feel anything new..
please do another reading to see if you see or feel anything new.. according to the news, her ex was the last person to see her.. what does he know?